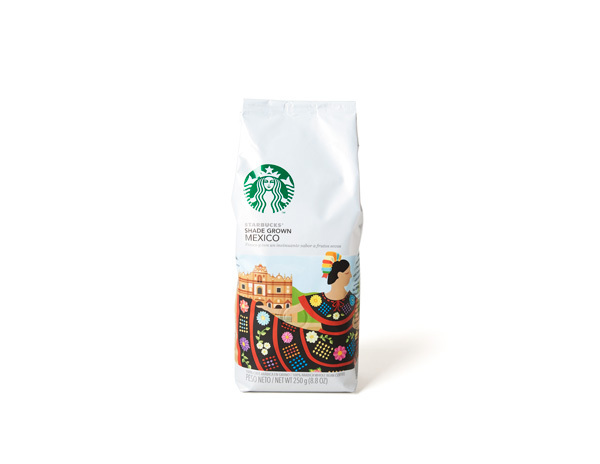 This is an illustration for the new Starbucks Shade Grown Mexico coffee bag. 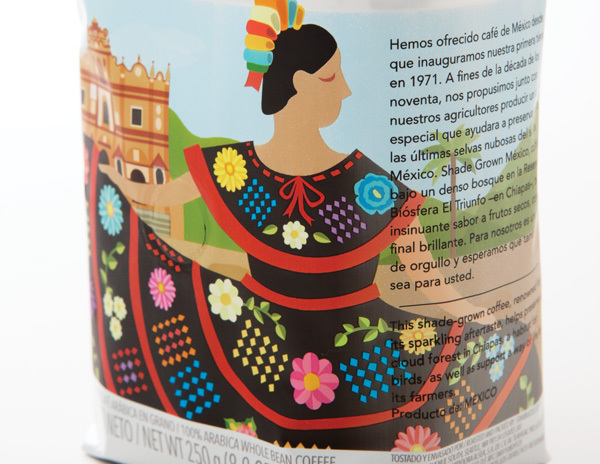 The illustration features a Chiapaneca woman with a traditional gala dress standing in one of the main plazas in Chiapas. I had a lot of fun with this one, the Chiapas dress is one of the most beautiful and colorful dresses in Mexican culture. 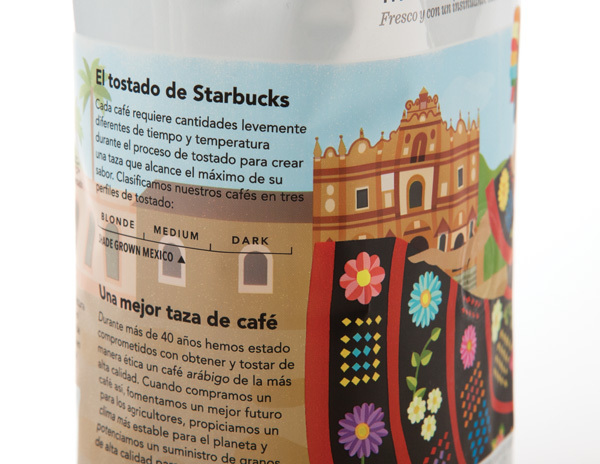 Unfortunately this bag is only for sale in Mexico and not in the U.S. This entry was posted on October 2, 2012 at 8:46 pm and is filed under Illustration, sbux. You can follow any responses to this entry through the RSS 2.0 feed. You can leave a response, or trackback from your own site.